I just wanted to post a little FYI for anyone who's wondering where today's blog entry is. Starting this week, I'm moving my weekly posts to Wednesdays. I've been playing around with my schedule a bit this past month, but I think I've found the sweet spot now. So come back around in a couple of days for this month's Speculative Spotlight feature. Until then, have a great Monday. Try not to strangle your coworkers. I can't make any promises about the strangling part. The authorities haven't been in touch with you yet? See what you happens when you don't start your day with my blog? Shoot! Wait. Are other peoples' coworkers still on the table? 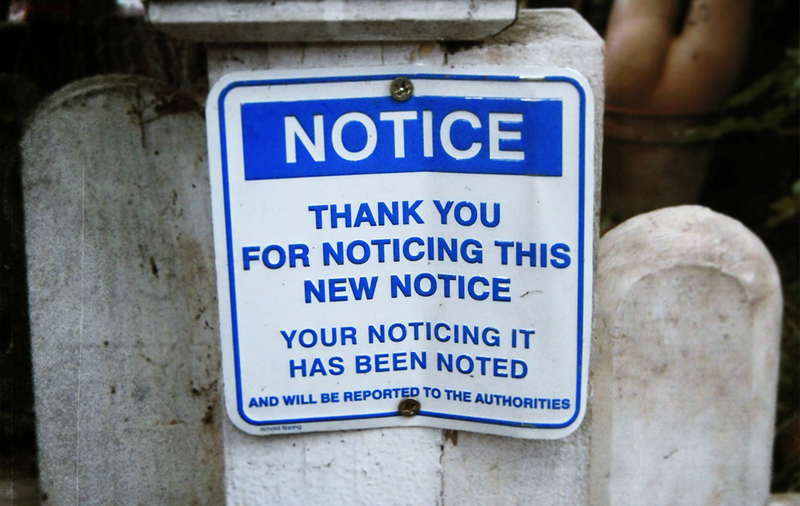 Also, I think I want to post that notice sign on my front gate (if I had a front gate). Well, I'd point you in Krystal's direction, but she's already taken care of hers.